Solano County Sheriffs came face-to-face with a masked burglar at the Moose Lodge in Vacaville Tuesday morning. "Imagine running into this in the middle of the night," the Solano County Sherriff's Office wrote on Facebook. Deputies responded to the scene after the facility’s alarm went off and found the front door unsecured upon arrival. 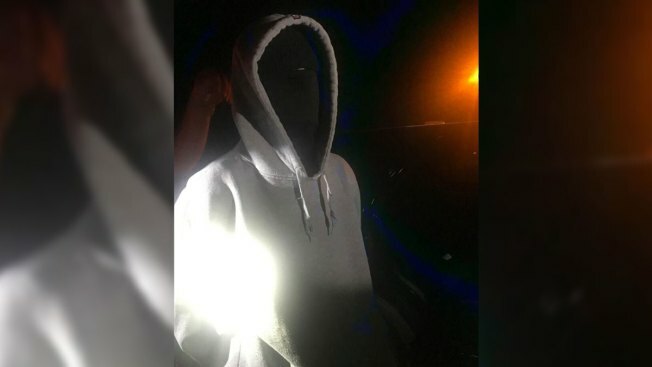 The masked individual was identified as a 17-year-old male juvenile in possession of several stolen items and money from the lodge. He was taken into custody and was transported to the Solano County Juvenile Detention Facility without incident with the help of the Vacaville Police Department. "Despite his best efforts, this masked man couldn’t scare off our deputies!" Sheriffs wrote on Facebook.